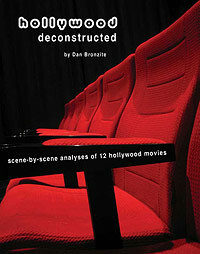 This 239 page eBook contains comprehensive scene-by-scene outlines & analyses of 12 successful movies in a PDF file, viewable and printable on both Mac & PC. As a film student or screenwriter, the ebook is an invaluable reference to how successful films in different genres are structured. Deconstructing a screenplay in this way helps writers understand the aspects of story structure we do not normally comprehend when watching a movie. The ebook can be read independently or as a companion to our screenwriting software when writing your own script. Comparing the progression of these narratives and character arcs while writing your own project is highly recommended. Now also available on Amazon Kindle!